You are currently browsing the tag archive for the ‘spicy’ tag. 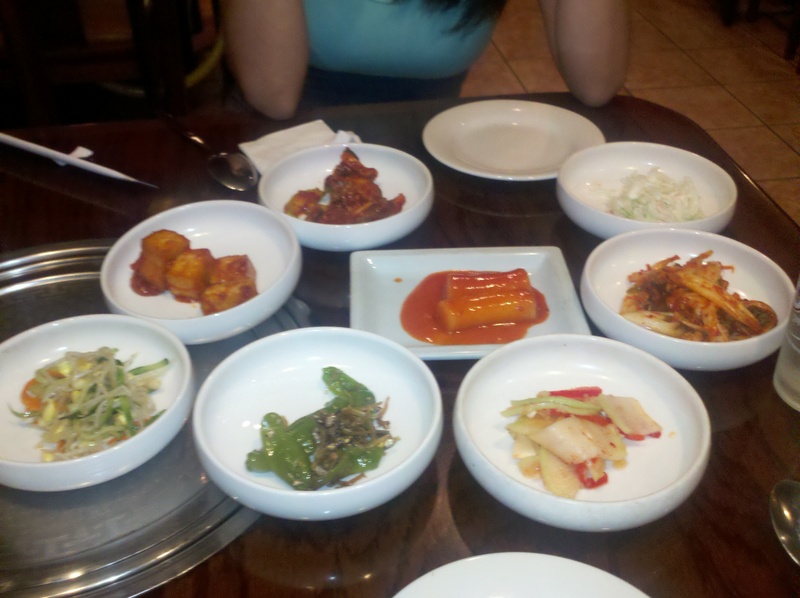 Cindy and I went to MukEunJi which is a Korean restaurant on Broad Avenue at Palisades Park, NJ. I have eaten there before with my parents and thought it was one of the better Korean food places among the multitudes of other Korean restaurants. 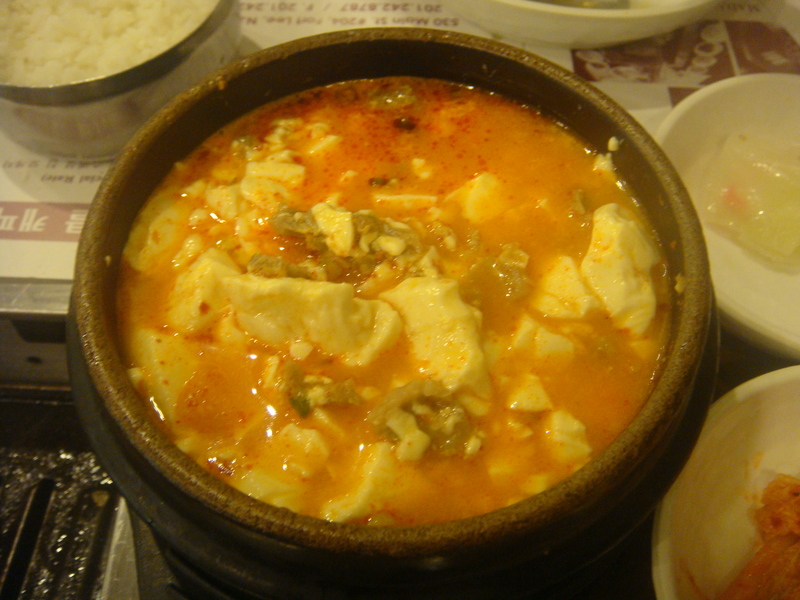 We ordered the Dakdoritang which is a spicy chicken soup with potatoes, kimchi, and other various vegetables. The broth was very thick and was very enriching and fulfilling. The chicken was also cooked to perfection. 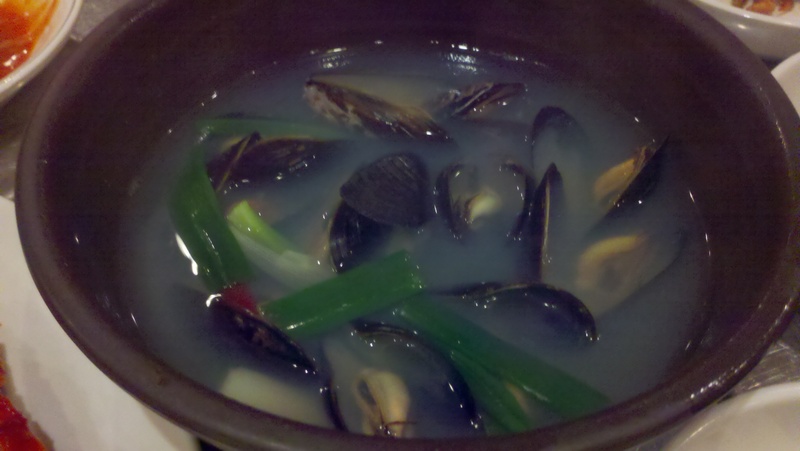 As complimentary side dishes my favorite was the mussels in broth and the ddukboki. 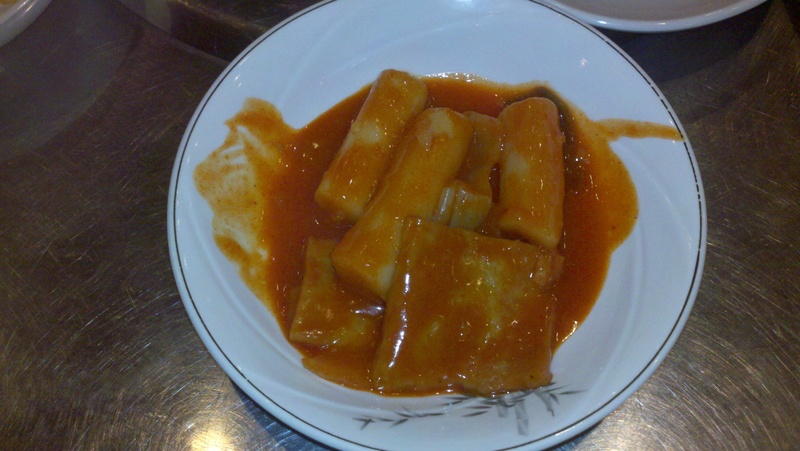 Ddukboki is a spicy rice cake dish with fish cake cooked in a pepper paste sauce. The prices were good and so was the food. So Moon Nan Jip literally means “the house everyone is taking about” or “the most popular house” in Korean. I just hoped that the restaurant lived up to its name. 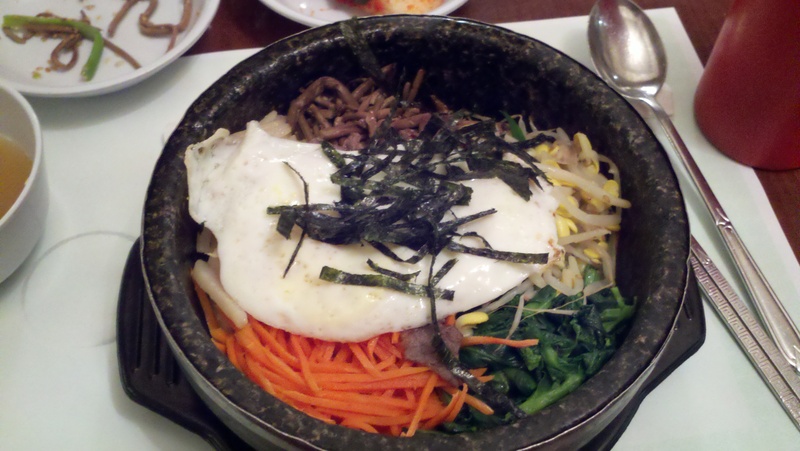 I ordered the dolsot bibimbop which came in a stone pot which makes the rice on the bottom extra crunchy which I always like. My girl ordered the Yookgyejang which is a spicy beef stew. 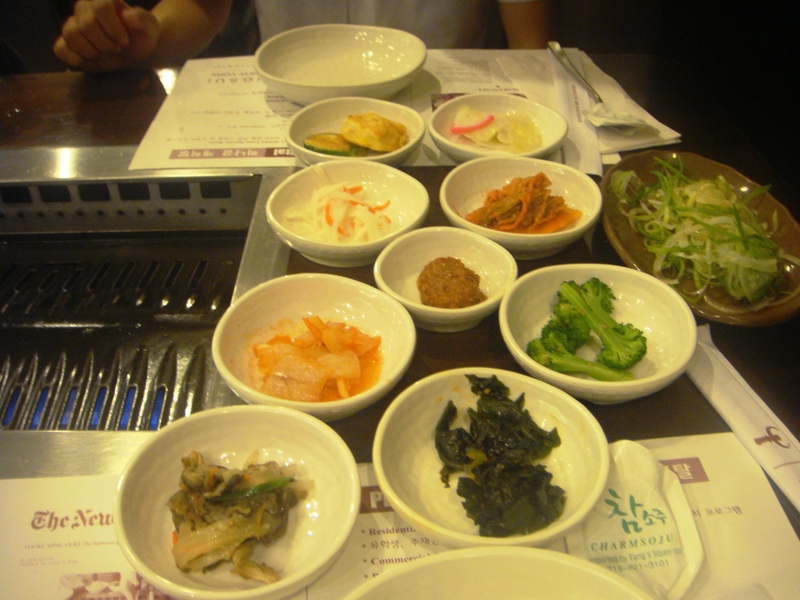 Both tasted how it should taste and also came with a assortment of side dishes. All in all, I was not disappointed. They are known for their Korean BBQ but did not have a chance to order it. Maybe next time? 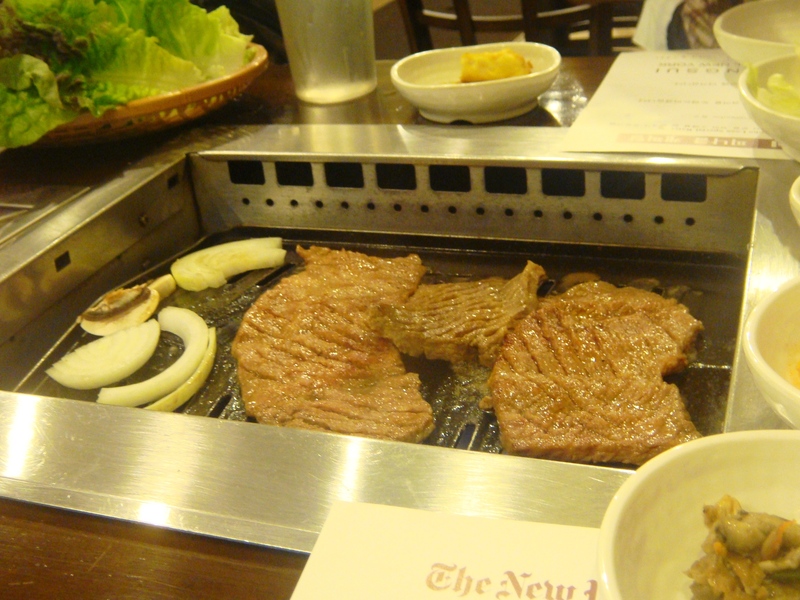 While strolling around Koreatown in Midtown Manhattan, I was craving for some Korean bbq. Most of the Korean bbq restaurants are located in Queens, New York but that happens to be extremely far away for me. John and I happened to stumble upon a hidden gem called Mandangsui on W. 35th st. which was a couple of blocks away from K-Town. This place seems to be extremely popular and packed that customers were waiting outside. People tend to come in big groups for Korean barbeque but they do take reservations. However, we got a table right when we arrived. Throughout our whole meal, the staff was very attentive and welcoming which is a definite plus. The usual side dishes of banchan came out quickly, which varies from fermented cabbage (kimchi), wakame seaweed, and other small dishes including a small pot of Korean steamed egg casserole (gyeran jjim). 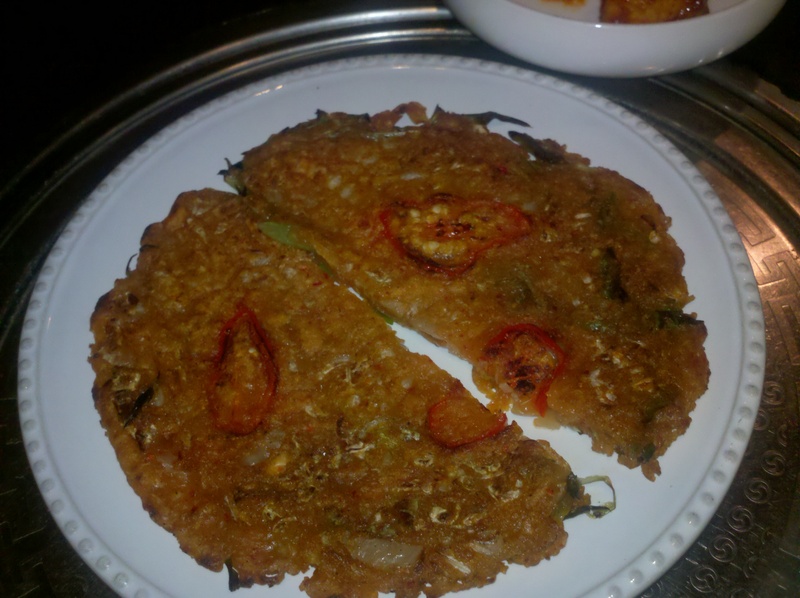 This egg dish is also popular in Chinese cuisine while I was growing up. 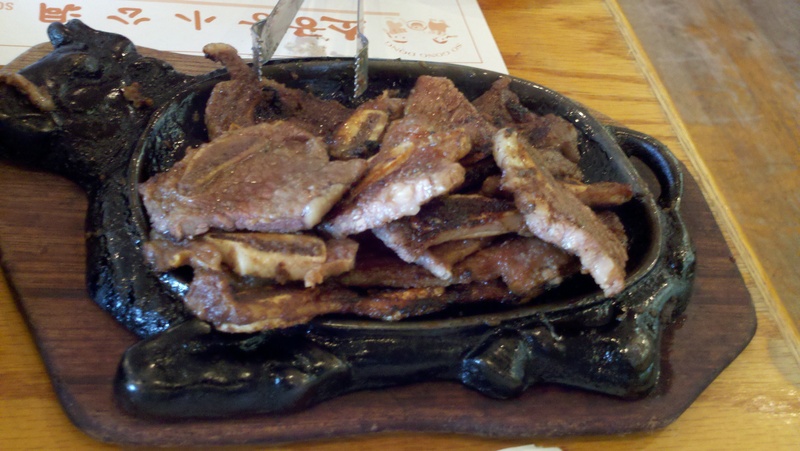 We decided to go for two servings of their Yang-Ngyum Galbi (fresh butterflied & Korean style marinated short ribs). It’s a bit pricey (like most Korean bbqs are) but the meat was tender, a little fatty, and of good quality! I couldn’t have asked for better. Our waitress was very alert to the beef that was marinating on our built-in grill in our table and helped us cut it. 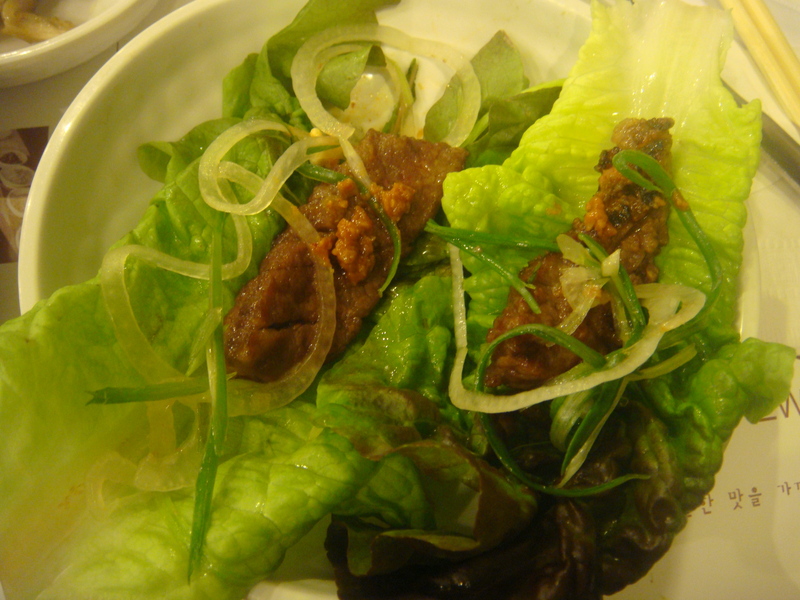 After it was done grilling, we wrapped our beef in these fresh lettuce leaves and added some spicy paste (ssamjang), and spicy spring onions (pajori). 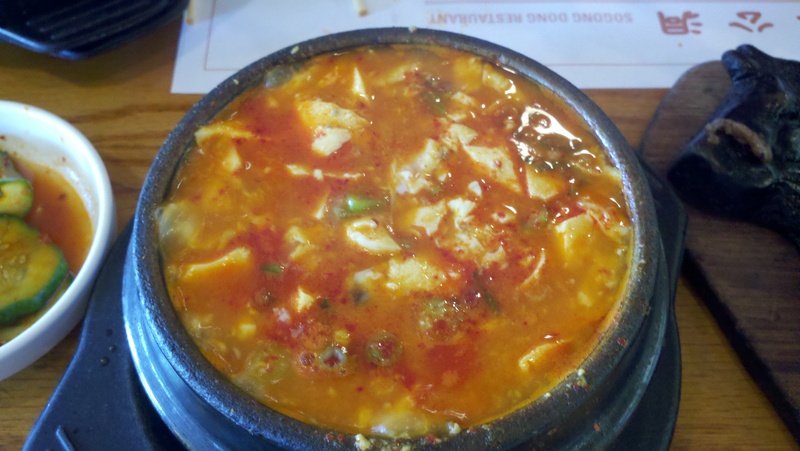 We also ordered a bowl of Korean stew (sundubu jjigae), which we thought was okay. We will definitely come back for more if we are ever in the area and order some soju to complement our meal. Of course our clothes reeked of bbq smell when we left but we were satisfied with our dinner. My mom took me out to eat after my lasik surgery. It was hard to see the food but my tastes buds were working perfectly fine. 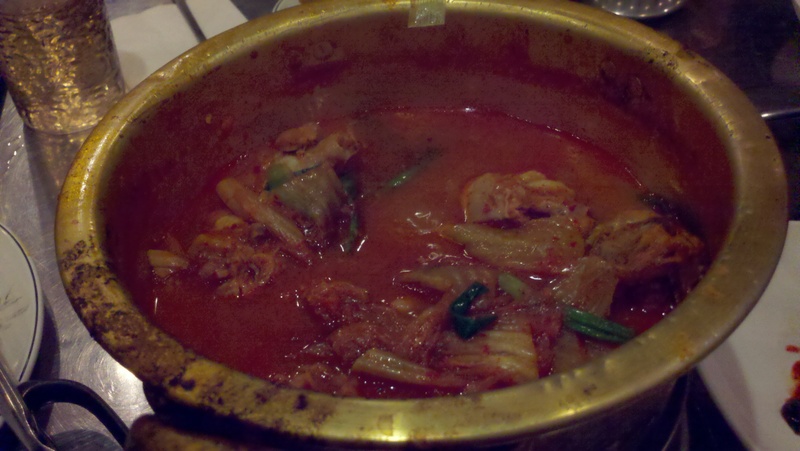 It was seriously one of the best korean tofu stews I had in a while. You could pick from not spicy, medium spicy, spicy, to extremely spicy. My mom advised me to order the spicy one. The broth which I feel is the most important factor in a Korean stew was well balanced, hearty, and extremely flavorful. We also ordered a serving of galbi which in Korean restaurants if you order 1 serving, they cook it in the back for you and bring on a dish. The galbi was nothing special but the soondubu was to die for. I cannot wait to eat there again. 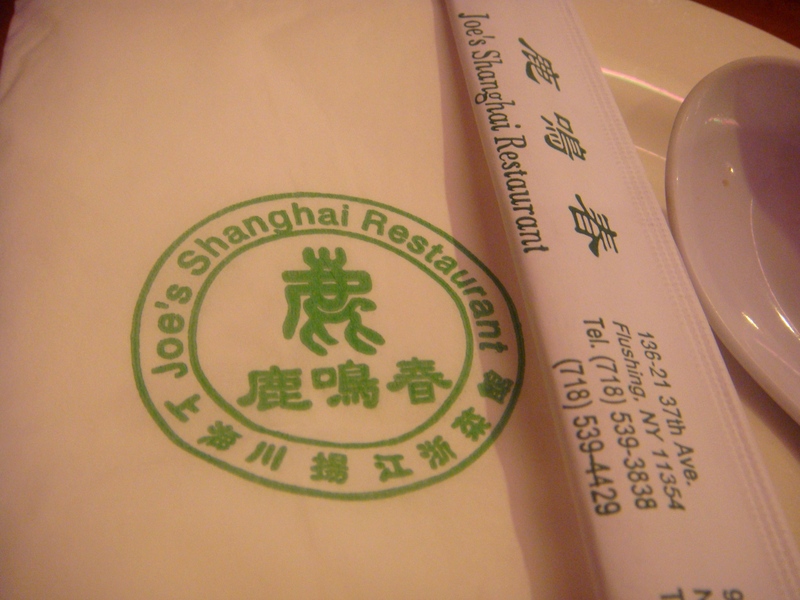 John and I decided to try the famous pork steamed dumplings (called xiao long bao in Chinese) at Joe Shanghai’s Restaurant’s in Chinatown this past weekend because of all the rave reviews. This restaurant originated in Flushing, Queens and now has opened up in other locations including Midtown, Manhattan and Tokyo, Japan. It was a bit cramped and luckily it was just us two so we didn’t have to wait long to be seated. 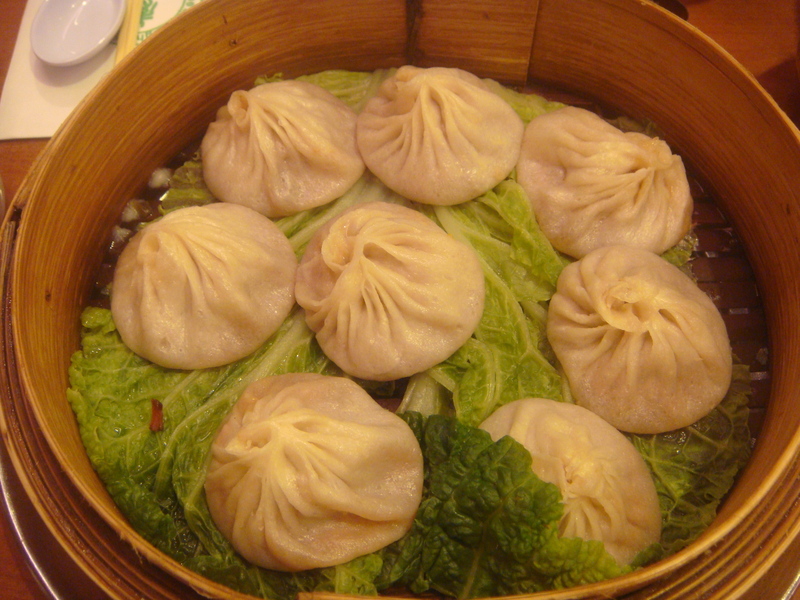 These dumplings, which originated in Shanghai, China, came out extremely hot. It was $4.65 for 8 dumplings. This was our first time trying these out at a restaurant for we are not that familiar with Shanghai cuisine. We thought the dumplings were delicious but the soup inside was a bit too greasy for me. But besides that, the pork was savory and juicy. 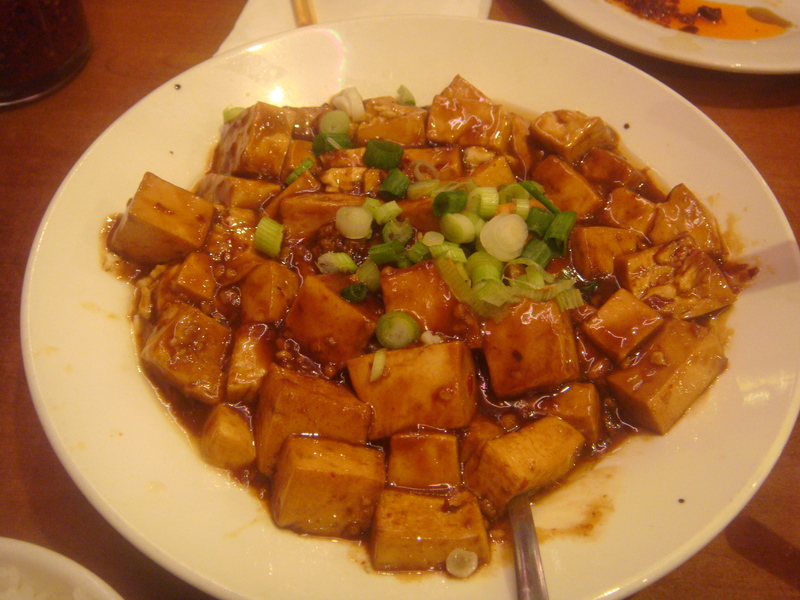 We also ordered an entrée of bean curd (Szechuan style) with minced pork. 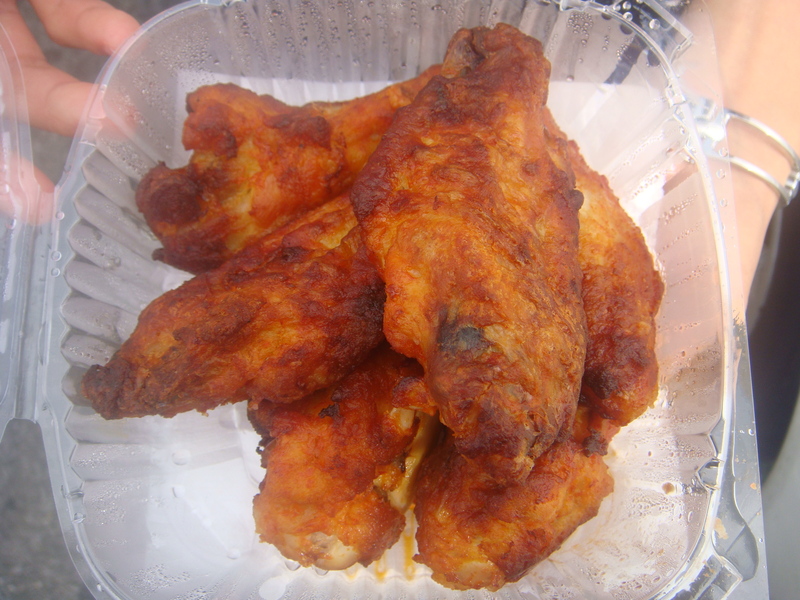 It tasted better than what I could make at home but unfortunately it wasn’t spicy enough as it was intended to be. 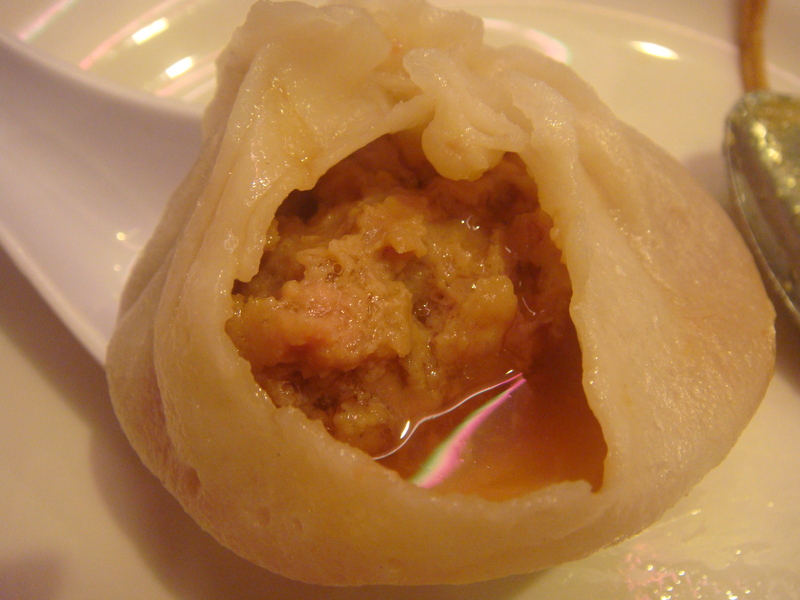 Also, there wasn’t enough minced pork in this dish; I could barely taste it. And, boo…they charged extra for a small bowl of white rice because we shared an entrée! I could happily say that I ate DiNic’s Roast Pork Sandwich. It took forever for the food to get into my hands and into my stomach, but, I could say that it was worth it. 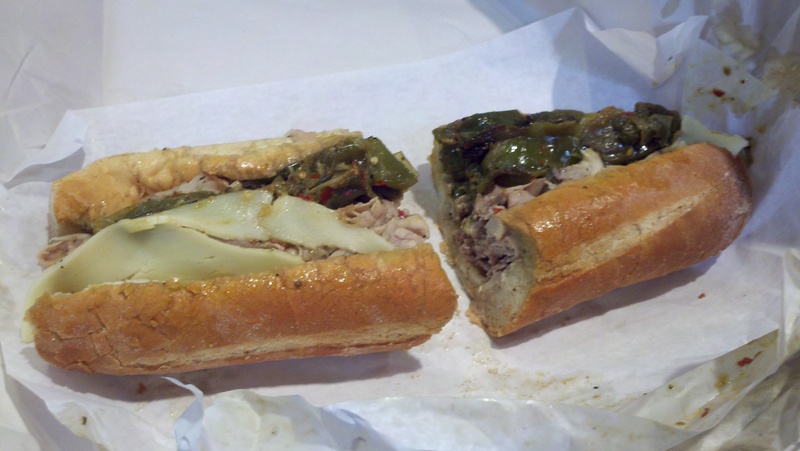 I ordered my sandwich with sharp provolone cheese and roasted peppers. The roasted peppers gave it a very nice heat factor. The sandwich is basically meat on a roll. The meat is very nicely cooked with a lot of juices running rampant once you take the first bite. The provolone cheese kept the sandwich together and the roasted peppers gave it a nice kick. You do not need me to tell you to go try it. 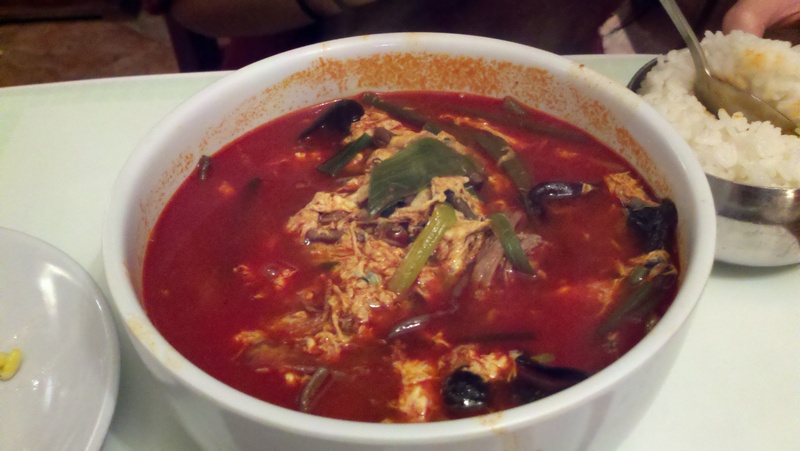 After drinking with some friends, we were craving for some Korean food, so we decided to go to Woochon Restaurant. Overpriced because of the location (Manhattan) but they served up some good food. 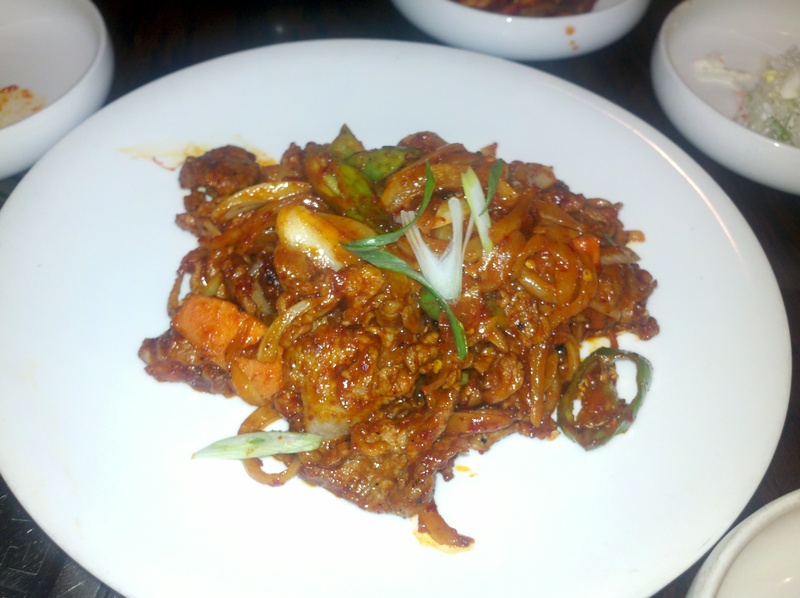 We ordered the Kimchi Pajun (which is basically kimchi pancakes) and for the entree, we ate jaeyook bokkum, which is basically sitr fried spicy pork with onions and peppers. Of course with when you order Korean food it comes with various side dishes that you could pick at while you are eating your main dishes. My mother and I had to pick up a few items from the Brooklyn Chinatown area on 8th Avenue and on our way we picked up a quick meal from Fung Sing Seafood Restaurant. If you walk all the way into the back of the restaurant, you will find a buffet of random Chinese dishes on display and you can choose up to 3 items for only $3.50! What a steal. 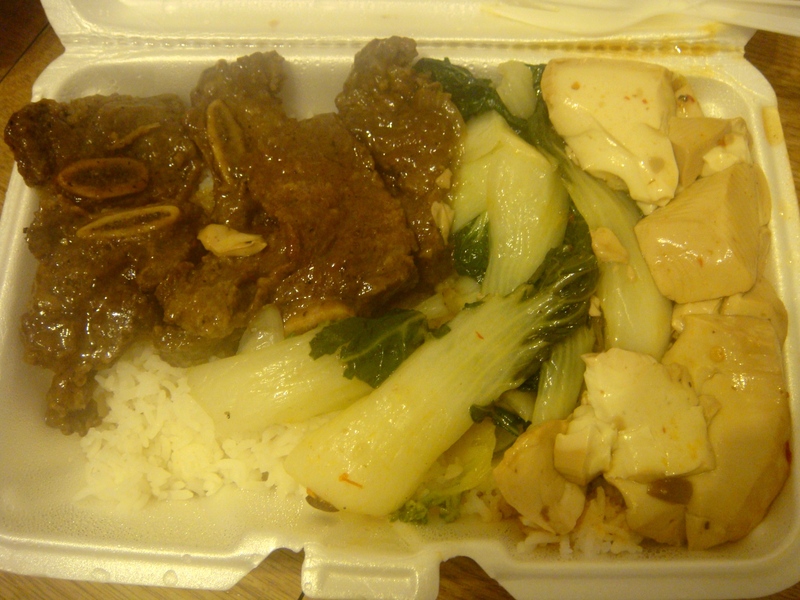 I chose: short ribs (also known as galbi), bok choy, and spicy tofu. If you are ever in the area and need a quick bite to eat (or if you are broke), this is the perfect option!